Are you in Marmaris and looking to enjoy an exciting holiday filled with adventure and a rush of adrenaline? Opting for a rafting tour in the Dalaman River, about two hours from Marmaris would just give what you aspire for! 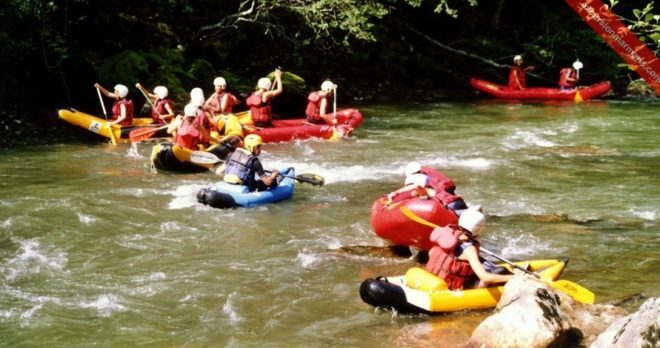 Rapids over grade 6 are considered most challenging and River Dalaman offers you Marmaris Rafting with rapids grading over 3. This is a full day trip, which lasts for over 11 hours. You are allowed to raft in the river for about 3-4 hours accompanied by experienced guides. After you fill yourself with excitement and thrill, enjoy a great meal by the river side before moving back to your hotel. We will pick you up from your hotel early in the morning at about 7:30 am. After about a 90-minute drive from your hotel, you will reach the raft center at Ak kopru on the banks of the river. On arriving here, you change to rafting suits and the rest of your journey continues with off-road vehicles carrying rafts atop. Before heading off into the thrilling watery arms of the River Dalaman, you are given comprehensive instructions about the adventurous trip ahead. Marmaris Rafting Trips are arranged everyday from mid May to mid October, you can get the exact dates from calender sheme. 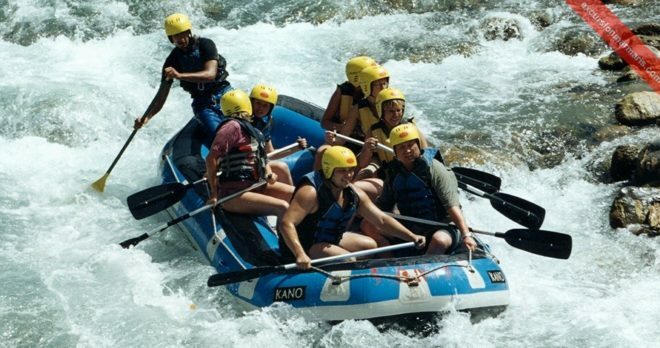 The tour price includes pick up, drop back, full insurance, breakfast, lunch, free guidance and all the equipment used for rafting. Once you are picked up early in the morning, you can reach back your hotel at about 19:00 pm. 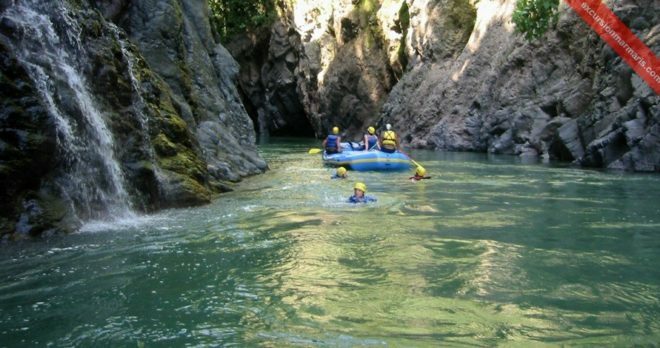 You are advised to bring your shorts/swimsuits, t-shirt, towel, extra clothes to wear after the rafting and sun cream. 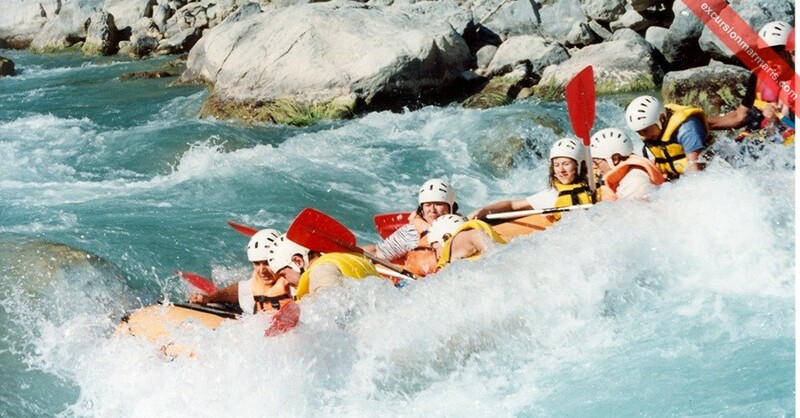 You may carry your camera, but it will be of little use when you are fully involved in enjoying the thrilling rapids. Dalaman River was once a border between the ancient settlements of Caria and Lycia. The ever-flowing white waters, gorgeous canyons and breathtaking wilderness all offer a perfect venue for this heart-throbbing action. 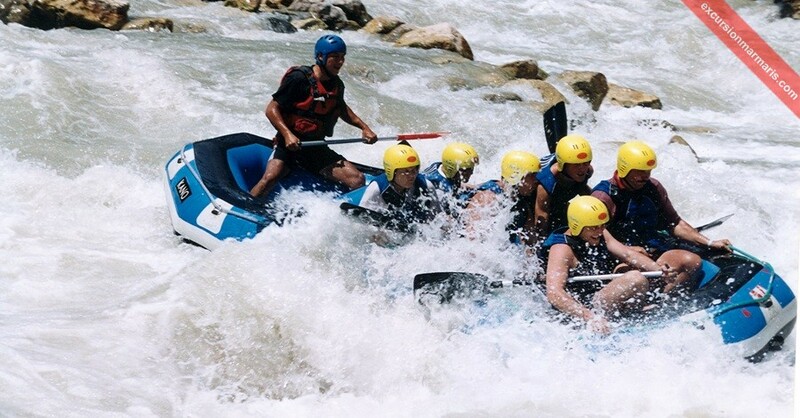 Any fears will soon disappear as you hit the first rapid and you are quickly learning to love the thrilling experience with the might of the river. While you get about 3 hours of rafting time, you get a stop at the half way for cliff jumping and swimming. 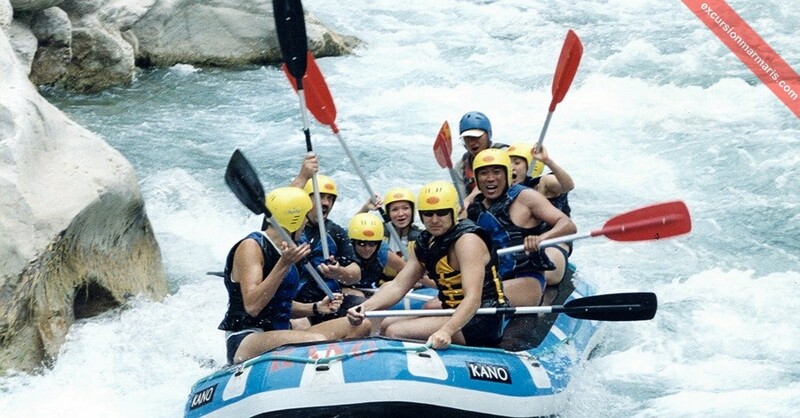 Rafting needs a full team work and you’ll notice a spontaneous growth of team-spirit while you are here! 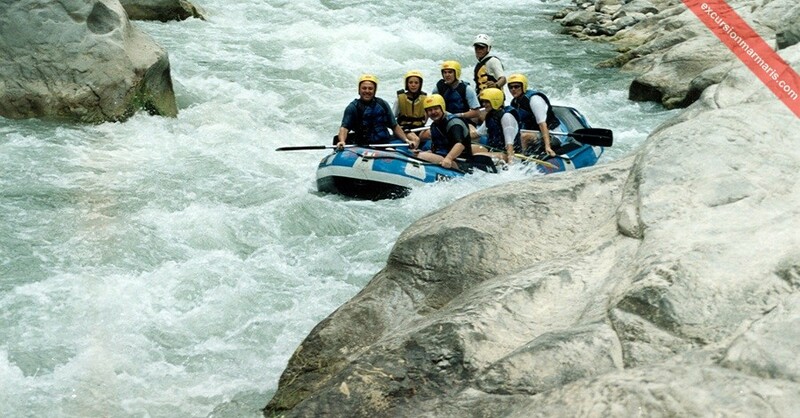 At the end of your rafting tour, you can jump off to the river and let the waters carry you to the base. After filling your full with over 3-hours of non-stop excitement, a heart meal awaits you here. From here, you are dropped back to your hotel. You’ll remember this exciting tour for the rest of your life! Avaliable Days: Please check the calendar. Dont Forget: T-shirt to wear under your life-jacket,bathing suits,sun glasses, comfortable shoes that can be warn in the water (No flip-flops or slip-ons), Dry clothes for the end of the trip. Restrictions: Not suitable for guests with physical difficulties, no possibility of using cameras during rafting. 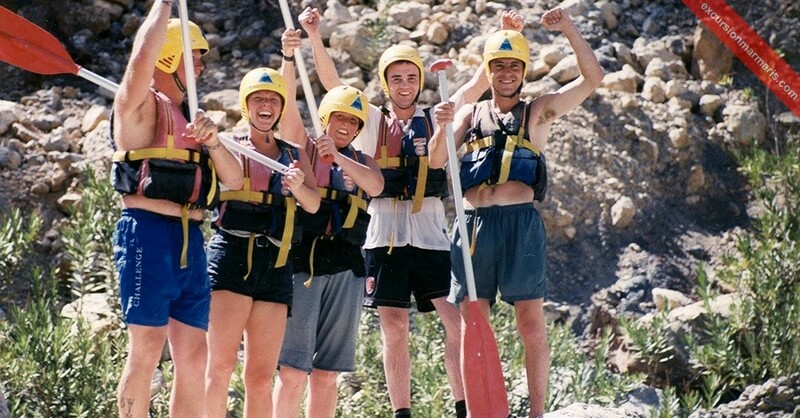 Marmaris rafting excursion stars early in morning and goes all day long .This full day tour will give you the chance to explore the untouched parts of Turkey and miles away from tourism. After having your instructions from our experts , you will have total rafting time for 3 hours and these rapids are not piece of cake . Be sure that you have try hard but its gonna be lots of fun. 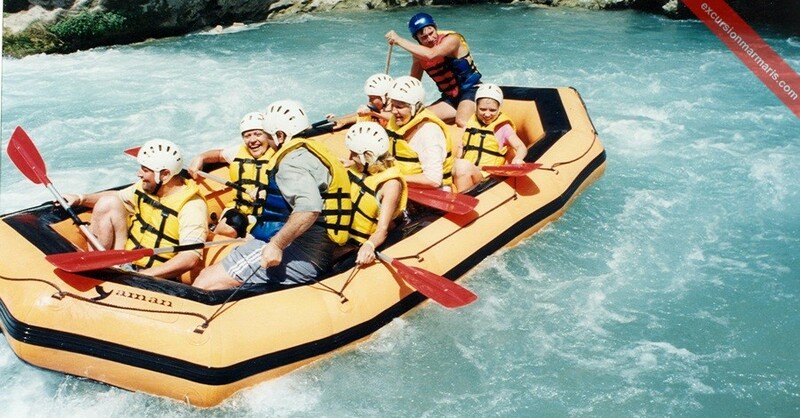 All the safety and rafting equipment will be given to you . 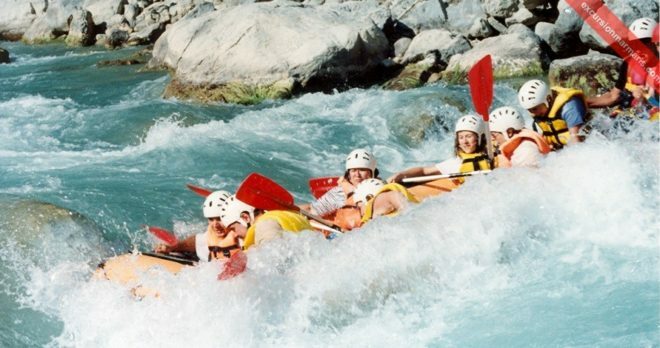 Our experts also gonna be on the raft , so take it easy , you are at safe hands and enjoy your day. 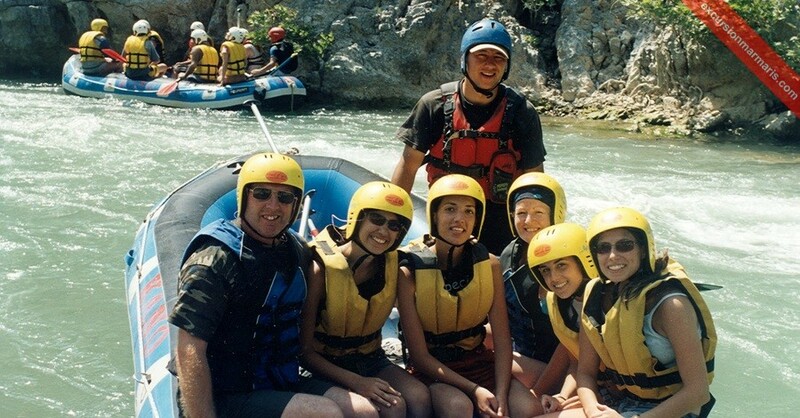 The Rafting Excursion from Marmaris has certain age limitation , minimum age to join the tour is sixteen. Extremely professional, it was so easy to book online and were always in good communication with us during our stay in Marmaris. 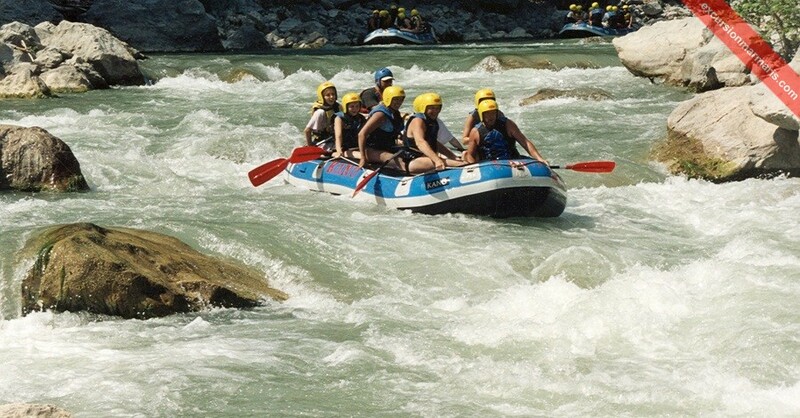 Rafting tour is lots of fun for beginners as well! Can’t recommend enough! We were absolutely thrilled by this rafting experience from start to finish! Booking online with Mares Travel was so easy. We are always intouch with Cem through whatsapp and Cem replied every question very quickly. 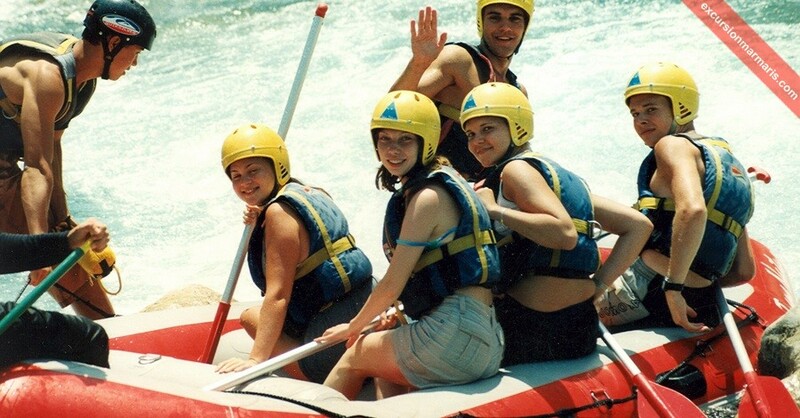 We did Marmaris Rafting Tour and I would definitely recommend this tour to all our friends and family!!! After a tiring day we came back and had a delicious meal of chicken rice and pasta! We then watched a video of our pictures and recordings and we made sure to buy the DVD!! Overall, it was an amazing experience and could not ask for more!! Thank you so much to the entire team. 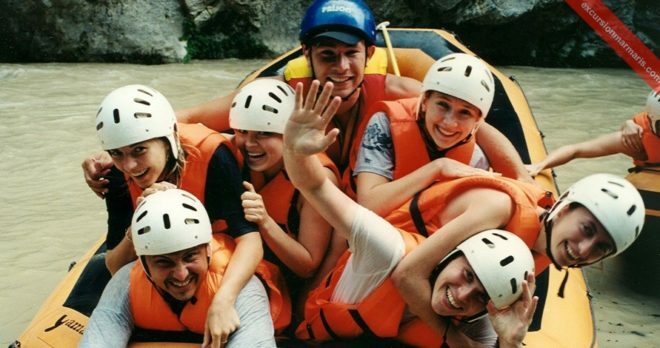 We had a wonderful adventure with Marmaris rafting tour, it was an excellent organization of ” Mares Travel “. We spent a very nice day at Dalaman river. Thanks also for warm and friendly guides. Hope to see you next year once again. Rafting tour is really good with lots of fun and adventure, very reasonable price. They are very good with health and safety. I am sure you will definitely love this tour. We booked a water rafting trip via Mares Travel from Marmaris. We booked our tour online two months before our holiday and paid upon our arrival . 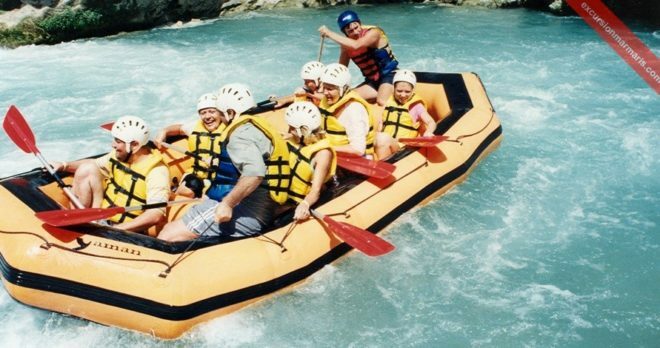 The rafting tour was amazing with the very best price online. 30 £ per person which included a tasty lunch & breakfast. I was launched into the river more times than i can remember by the instructor but it was all in good humor. We had really a great time. Back to Mares Travel… I stupidly left photos of our trip on the bus when we were getting back to the hotel. I emailed Mares Travel and they mailed back saying they checked it out and sent someone to our hotel with the photos. That night after dinner the photos were in my hotel reception. I cant thank the company enough for what they done as I really thought I had lost the only pics I had from the trip. I will certainly use them again next year. John ….. great day in the rafting tour …. a big thanks from us all ?? really nice professional people. We were on holiday in Marmaris Turkey this May and we had absolutely some wonderful time in there. There are many street travel agencies in town but after a long research and with a limited budget we found the best prices online with “excursionmarmaris.com”. 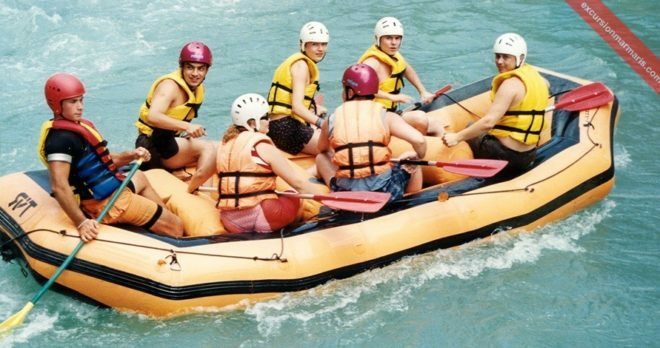 The Rafting tour from Marmaris is very well organized and definitely a wonderful day . Thanks to John, he organized 4 trips for us and they were all wonderful . We will be definitely back next year.